remember the time i made these? so this is a win for both of us. 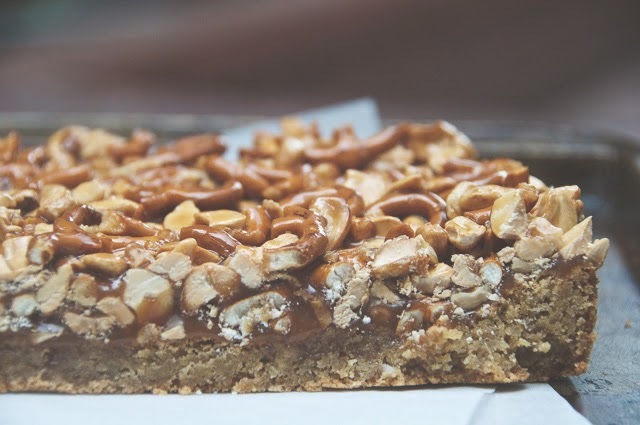 brown butter blondies with cashew pretzel caramel. Ah, but I do. When I originally bookmarked your blog, I accidentally marked this post specifically. Since I am a lazy person, I never corrected it. Every time I visit, this is the recipe I see. So it was with great surprise that when I refreshed the site today, the same recipe came up. It made my brain hiccup a little. I have made them and they are delicious.